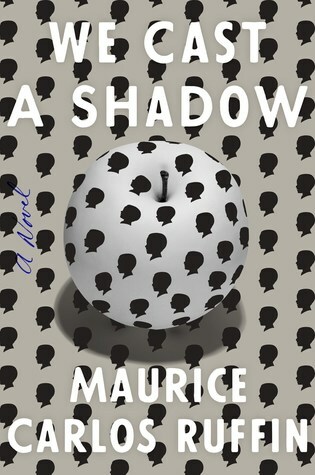 One of my books clubs chose this newly released debut, We Cast a Shadow, by Maurice Carlos Ruffin for our March monthly read. The premise was intriguing - a black father who is essentially trying to save his son from himself. In the not too distant future, as the book describes it, somewhere in the United States, race relations has taken a terrible turn from bad to worse. The unnamed narrator decides, for his son - Nigel, to reach his fullest potential he must undergo a extreme surgical procedure coined demelanization to rid himself of the dark, pigmented birthmark on his otherwise fair, biracial skin. The entire book is about the father doing whatever he sees fit to secure the financial means for the procedure for his son. He's in a race against himself that only he seems to be running. Against his wife's, mother's, and even his son's wishes, the narrator stops at nothing to help "protect" his son. The author does a good job building suspense and creating tension. His writing style pushes the reader forward to discover what happens next. Intertwined in this emotion are some very real scenes that reflect current racial issues, like over-policed neighborhoods of color and mass incarceration. Because the novel is set in the future, it is a bit of downer for those of us who'd like to remain optimistic that these kinds of issues will get better, not worse, with time. I wanted to like this book. I really did. I feel as though the author is smart and his idea was worthy of print. However, I could not get into it. I did finish the book, but it wasn't satisfying for me. These dark comedies usually aren't. I don't know if it was just so unbelievable that someone could hate the essence of their being that much or if it was the misplaced satire that turned me off. I couldn't identify with the narrator. I found him to be unsympathetic, and I think, in the end, he got everything he deserved. I would definitely consider reading another book by Ruffin because I do think he's a talented writer. I just think this wasn't the book for me. Recommendation: Fans of dystopian novels may enjoy this book. I think it's always a good idea to give new writers support. Plus, you have the added benefit of seeing them hone their craft as they publish future works. Regardless of whether I purchase a book, borrow a book, or receive a book in exchange for review, my ultimate goal is to be honest, fair, and constructive. I hope you've found this review helpful.